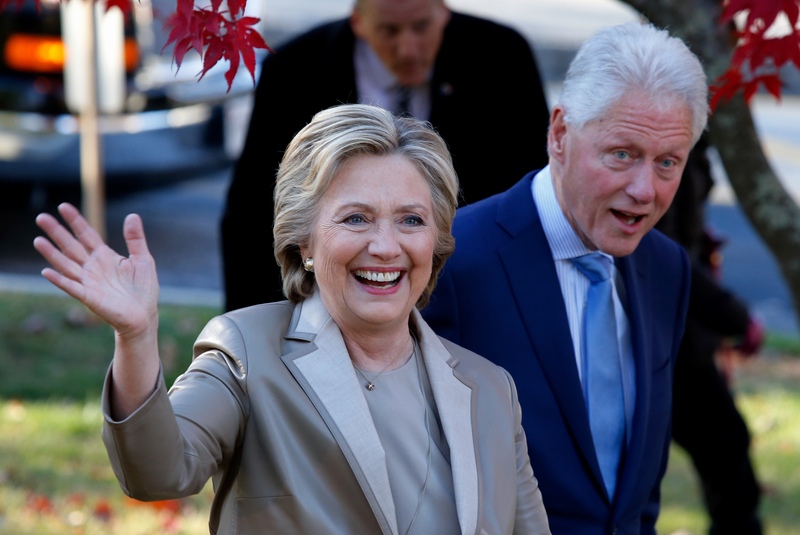 Many New Yorker voters at the polls on Nov. 8 were casting a ballot for the Democratic nominee Hillary Clinton — after all, the state has voted blue for the last 32 years. However, some New York voters could have been faced with a perplexing question: Why is Hillary Clinton on the ballot twice in New York? The answer lies in an endorsement from the Working Families Party, an independent political force that advocates for progressive policy goals and New York state's most influential progressive political organization. For those unfamiliar with the WFP, the independent party has made major waves since its inception in 1998, leading the fight for progressive majority in New York City Council and serving as an instrumental force in ending stop-and-frisk abuses. The WFP was also a key player in increasing the minimum wage in New York state, pushing the bar to $15 per hour. The WFP originally supported Sen. Bernie Sanders, but after Clinton defeated Sanders in the primaries, the WFP publicly endorsed Clinton with a 68 percent vote. The organization normally has a third party candidate on the voting line of their New York ballot, but this year, the WFP endorsement went to Clinton, meaning she's on the New York ballot twice. New York voters have taken notice in support of the decision. How does this effect voter decisions? According to The Nation, when New Yorkers vote for Clinton on the WFP line, it counts as a vote on the Democratic line as well. Despite the fact that New York consistently votes blue, the extra line vote for Hillary Clinton could ensure that she'll not only win, but win by a large margin for Trump — and in his home state, no less.